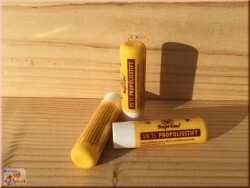 Propolis is a brown-yellow resinous mass with aromatic smell. 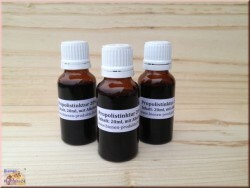 She frees herself only partially in Water and in Ethanol. 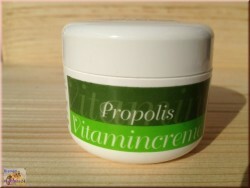 Propolis products There are 24 products. 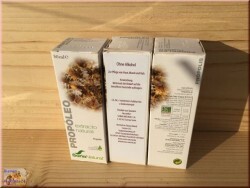 Propolis Tincture 20% without alcohol 20ml.Pharmaceutical quality propolis tincture 20% alcohol (20 ml), propolis, propolis solution. 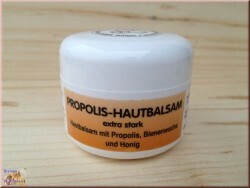 For the care of skin, mouth and throat.Application: Apply several times if necessary to the affected skin area. 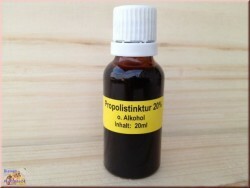 20% propolis (propolis dissolved in alcohol) 20ml bottle.Propolis is a liquid tincture and can be used dropwise. 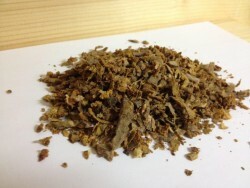 The tincture can be used either pure or diluted with water, tea or milk. 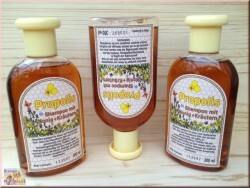 Propolis shampoo with honey and herbs.Particularly suitable for fine and damaged hair. After shampooing your hair feels soft and grippy. 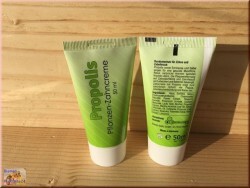 Pure propolis (bee's putty - resin). 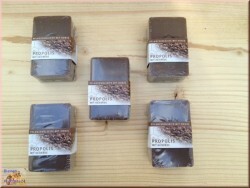 Only seldom raw propolis is offered. 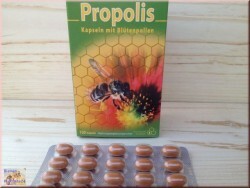 Raw propolis is the pure crude propolis which by push off of the beehive walls and Rämchen is won.